A little while back our friends John and Tina came over from San Jose to see what The Big and Juicy Grape looked like after Richard’s work transforming the place. They knew it used to be our first home together, they were curious how we had come to the decision of turning it into a guesthouse and what we had done with it. As we sat in its living room we were thinking of where to go for lunch. In all honesty, we’ve been missing out on what our little valley offers to people from all around the world who come to visit it. As we still strive to get to that point where we’re achieving a balance with running our guesthouse and our current f/t jobs, we try and squeeze a few activities that help us get acquainted and re-acquainted with the local businesses nearby. I didn’t count the steps, I feel like I should have! So El Molino Central has been long established in Boyes Hot Springs. I feel embarrassed to admit that I let 8 good years pass by before we ever tried this place! Now the thing is this…I, Isabel, do solemnly declare that I come from “Frugalandia” and as a native “Frugalite” couldn’t foresee myself paying $5.00 for a “street taco”…Specially when I, having been born in the Tacolandia and Tamalandia sections of Frugalandia, have consistently been faced with too many let downs from the poor attempts at “Mexican food” from this side of the border. Can I concede and tip my hat to a full fledged blonde chef/restaurateur and consider hers the best Mexican food I’ve had in the US…in the last 20 years? The answer is YES. Richard was telling me he believes their recipe for success is keeping the menu limited, making a few items excellently works a lot better than trying to have a huge menu and perform it with mediocrity. I agreed with him almost 100%, but I feel Karen Taylor-Waikiki, the head chef and owner, can handle adding a soup or two to her delicious menu, as plenty of times I am craving some caldo de res or some frijoles a la charra and to this day I am yet to find the place that makes either. Granted, her place is quite popular, her formula is already working so I’m sad to realize she’d see no need to be adding any one thing to her almost constantly sold out menu. 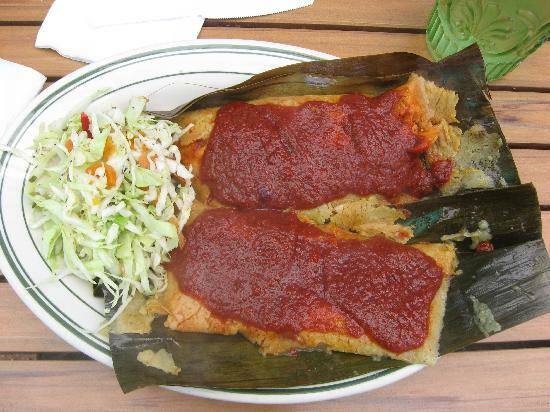 The BEST tamales this side of the border and just steps away from our guest house in Sonoma Valley! 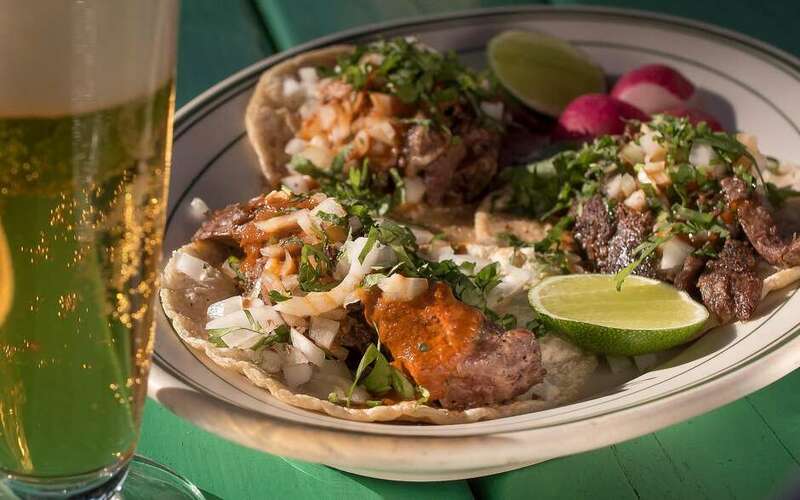 Even at an average of $5.00 a taco… these are THE best tacos…PERIOD! 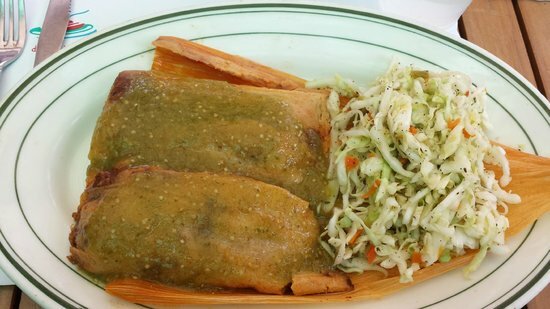 These tamales have actual meat in them! it is not just masa! Come rest at our Sonoma Valley guest house, relax, do some yoga in our patio….then walk to El Molino and fuel your body for all the activities our valley has to offer! Don’t miss out on trying Karen’s real and authentically traditional recipes, don’t let 8 years pass by without coming over to eat the best Mexican food in the Bay Area as rated not only by Mexican me, but by established critics such as the San Francisco Chronicle. Next Post The Big and Juicy…Meat!